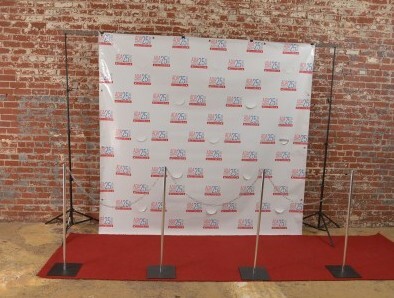 Popular step and repeat backgrounds can be used for all kinds of events. 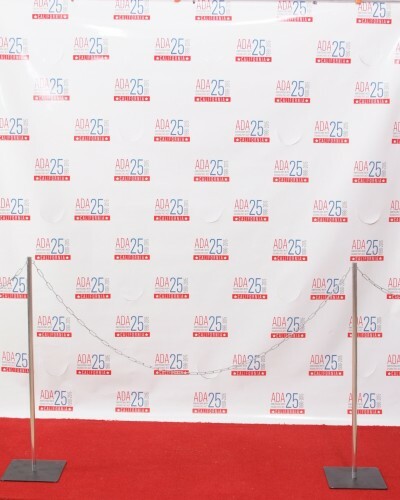 From high school dances to fundraising galas, we can print a background with the logo(s) you want. Choose between vinyl or paper backgrounds. Please allow 2-3 weeks from order to delivery. Going to have an outside event? For only $25, upgrade to include wind cuts to help stabilize your background. Contact us for pricing on custom sizes.